Making tasty and nutritious recipes with beetroot has never been easier. 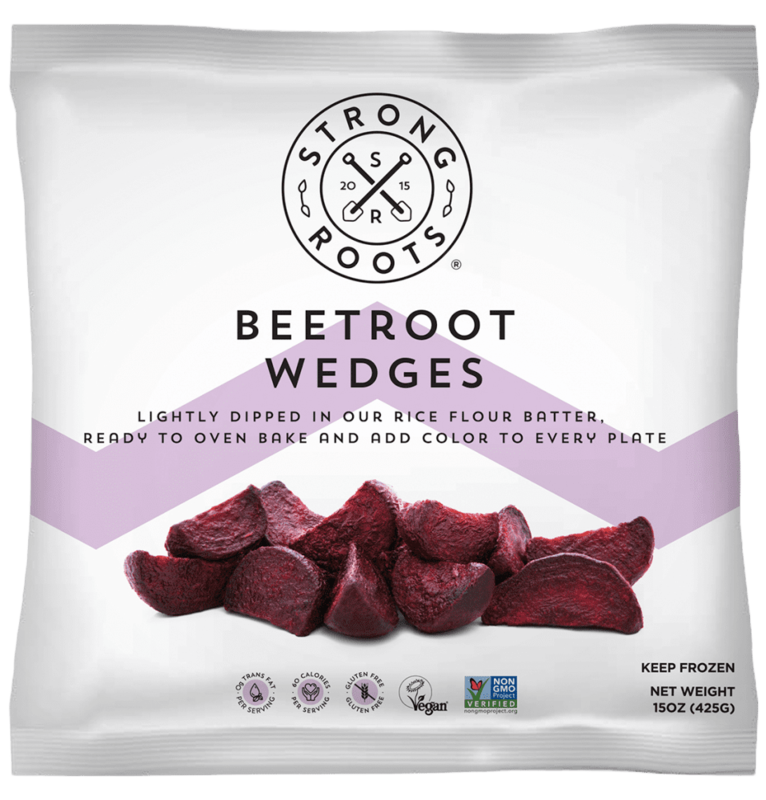 Our Beetroot Wedges are already peeled, cut and coated in rice flour for a firmer texture. There is no fuss or additional prepping required. 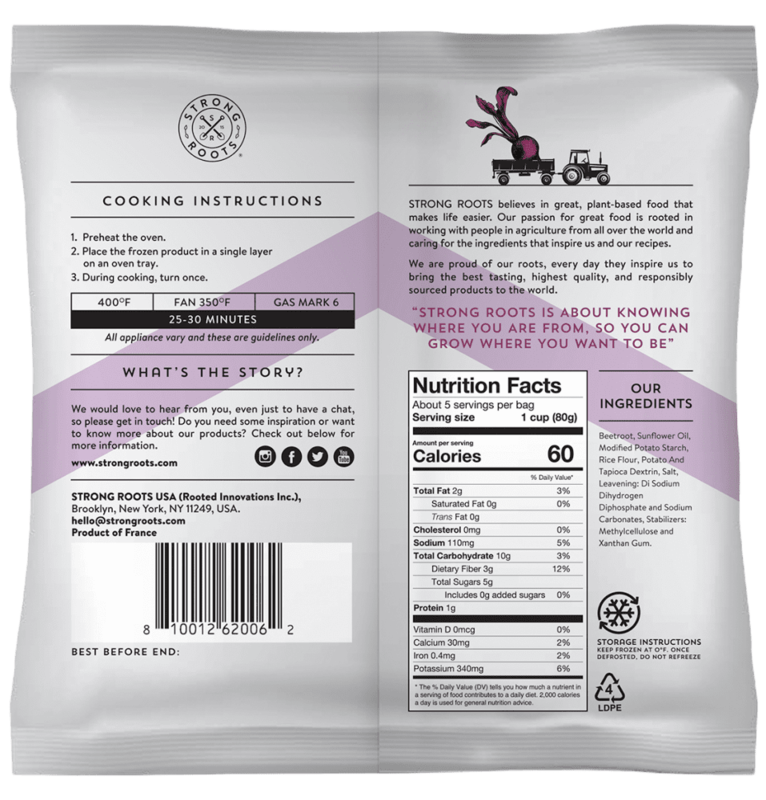 Beetroot, Sunflower Oil, Modified Potato Starch, Rice Flour, Potato And Tapioca Dextrin, Salt, Leavening: Di Sodium Dihydrogen Diphosphate and Sodium Carbonates, Stabilizers: Methylcellulose and Xanthan Gum.